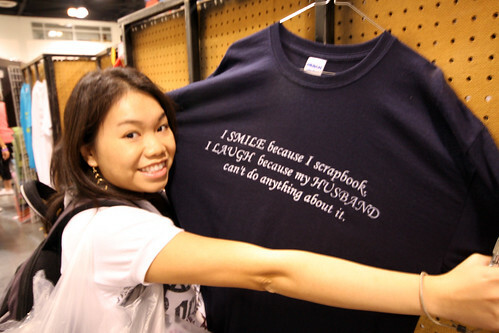 The last time I went to Scrapbook Expo was in 2008 and it was so much fun! Here’s a blog post about my findings. An exploration of rubber stamping techniques and projects for those who have rubber stamping experience. The theme for the workshop is spring. This is a fast paced class designed for experienced rubber stampers. Participants work independently on hands-on projects in class, creating various works of rubber-stamped art. Each student should complete at least six projects. I’m pretty sure I’ll have about 20 projects (we never do just the minimum) done by the end of the day. ;) If you’re in the area, please register and join me! 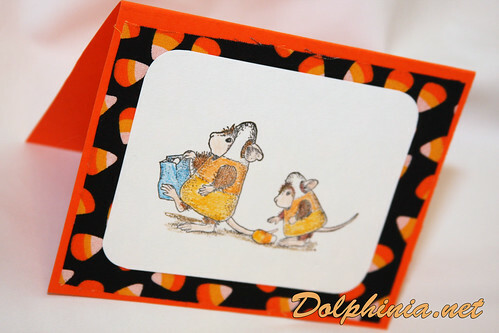 Here’s a sample card that I made from this class last year! Just wanted to wish everyone a very happy National Scrapbook Day! Hope your day is crafty and creative! I’ll be working on an album from my last trip to Washington DC and New York. I’m also making a crafty birthday present for a friend. :) What about you? What projects will you be working on to celebrate? I went to the my nearest Scrapbook Expo event in Ontario, California last Saturday and had a fabulous time! I only had a pass to the exhibit floor ($8), but that alone kept me occupied for hours. Imagine if I signed up for the workshops! I started walking down each aisle and watched the demos that interested me. First stop was the Online Drugstore, buy zoloft online, Free shipping, buy zofran online, Discount 10% in Cheap Pharmacy Online Without a Prescription Cricut demo. It was so crowded that I thought it was best to move onto the next booths. I worked my way down the aisles and bought a few things along of the way. Most things are a lot cheaper. 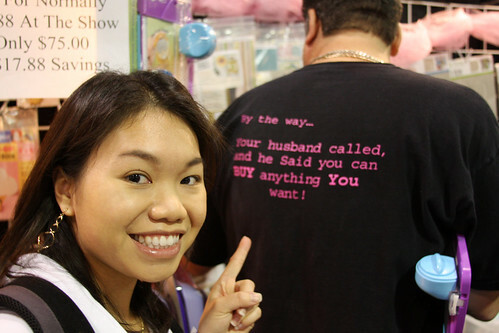 And there are some booths that sell things in bulk! Bring snacks – if you’re anything like me, you get so involved that you forget (or don’t want to leave) to eat. If you could, leave the kids at home. It’s your “me” time. Bring a big bag, you’ll be spending a lot. You may need something to carry your papers and stickers. Rest well the night before. It could get overwhelming – lots to do, and it could be very crowded. Bring cash, else you will over-spend! Bring zip-lock bags to keep your projects in. Duh, bring a camera to capture your experience! Not to mention ideas and inspiration. If you come up with any other tips, let me know! 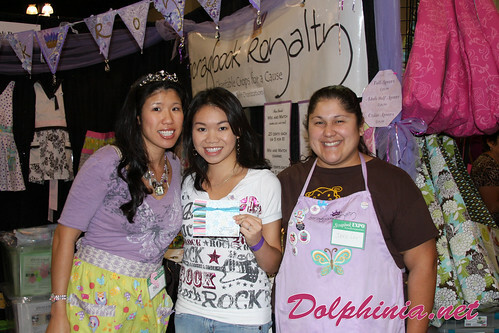 If you’re in the California area, the next scrapbook expo is in Costa Mesa, CA from Feb 13 – 15th! Everyone is already talking about it! Above are some photos captured at the Scrapbook Expo. Amazing conference, I can’t wait to go back! I met a lot of wonderful people! Two that I’d like to mention are Elena and Jennifer from Scrapbook Royalty, a wonderful organization that scrapbook for a cause. Scrapbook Royalty is dedicated to raising money and awareness for “Noble” causes. We hold “Crops of Distinction”, to satisfy your “Royal” scrapbooking desires. 100% of the money raised by participants, silent auctions, and raffles is donated to charities. Today I had the opportunity of making cards for our troops. These blank cards are sent to our troops, and they can use them to write a little note and send back home. Isn’t that sweet? Organizations that help our troops know that they’re in our thoughts really make me smile. We love you, and thank you for protecting all of us. Have an event that you think Scrapbook Royalty can help you out with? Stop by their website and leave them a note! Here’s an interview with Elena!